In a Facebook post, University of the Philippines professor, and a Doctor, Francisco Pascual Tranquilino shares a very detailed explanation how President Rodrigo Duterte handled the arbitral ruling on the South China Sea issue. Tranquilino provided in his post the arbitral ruling to encourage his readers to understand Duterte's decision regarding the issue. Banners with the words “Welcome to the Philippines, Province of China” were seen hanging from several footbridges in Metro Manila last July 12, two years after the country won its arbitration case against China. And as if on queue, SWS survey revealed four out of five Filipinos reject the Duterte administration’s policy of “doing nothing” about China’s intrusions in the West Philippine Sea. Before you criticize President Duterte on his policy regarding the South China Sea and the Arbitral Ruling, YOU MIGHT AS WELL FIND TIME TO READ THE ARBITRAL RULING SO YOU WILL UNDERSTAND THE PRESIDENT’S MINDSET AND THE PERCEPTIVENESS OF HIS DECISION REGARDING THIS MATTER. The matter of the South China Sea Arbitration (PCA Case No 2013-19) before an Arbitral Tribunal was constituted under Annex VII to the 1982 United Nations Convention on the Law of the Sea (UNCLOS) between the Philippines and China. The Arbitration was presided by the following Arbitrators: Judge Thomas A. Mensah (Presiding Arbitrator), Judge Jean-Pierre Cot, Judge Stanislaw Pawlak, Professor Alfred H.A. Soons, Judge Rüdiger Wolfrum and ruling was promulgated July 12, 2016 in The Hague. This arbitration concerns disputes between the Parties (Philippines & China) regarding the legal basis of maritime rights and entitlements in the South China Sea, the status of certain geographic features in the South China Sea, and the lawfulness of certain actions taken by China in the South China Sea. Both the Philippines and China are parties to the UNCLOS (the Convention), the Philippines having ratified it on 8 May 1984 while China on 7 June 1996. The Convention was adopted as a “constitution for the oceans,” in order to “settle all issues relating to the law of the sea,” and has been ratified by 168 parties. The Convention addresses a wide range of issues and includes as an integral part a system for the peaceful settlement of disputes. In addition, it does not contain provisions concerning the delimitation of maritime boundaries, and China made a declaration in 2006 to exclude maritime boundary delimitation from its acceptance of compulsory dispute settlement, something the UNCLOS allows for maritime boundaries and certain other matters. These clarifications are important for us to understand just exactly what the arbitral decision is. So many from the Yellow camp and the Liberal Party are making it appear that Duterte simply set aside the crucial Arbitral decision because it wants to kowtow with China. The recent “Province of China” banners is a glaring example of how the vicious opposition is attempting to lay blame on Duterte and sow anger toward the government for being subservient to China. As usual, the opposition is spreading fake news or are they simply ignorant of what the Arbitral Ruling is all about? 1. The Philippines has asked the Tribunal to resolve a dispute between the Parties concerning the source of maritime rights and entitlements in the South China Sea. Specifically, the Philippines seeks a declaration from the Tribunal that China’s rights and entitlements in the South China Sea must be based on the Convention and not on any claim to historic rights. 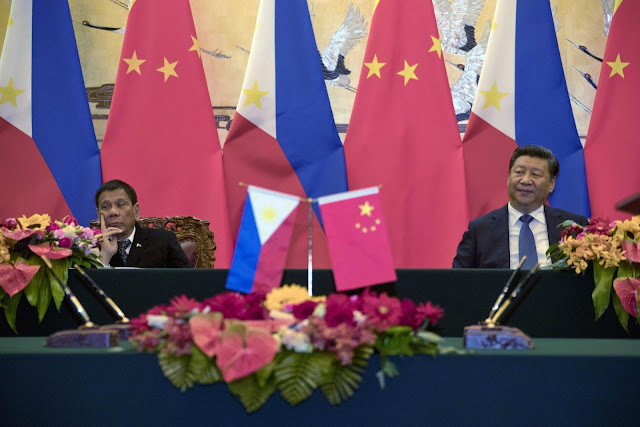 In this respect, the Philippines seeks a declaration that China’s claim to rights within the ‘nine-dash line’ marked on Chinese maps are without lawful effect to the extent that they exceed the entitlements that China would be permitted by the Convention. 2. The Philippines has asked the Tribunal to resolve a dispute between the Parties concerning the entitlements to maritime zones that would be generated under the Convention by Scarborough Shoal and certain maritime features in the Spratly Islands that are claimed by both the Philippines and China. The Convention provides that submerged banks and low-tide elevations are incapable on their own of generating any entitlements to maritime areas and that “rocks which cannot sustain human habitation or economic life of their own” do not generate an entitlement to an exclusive economic zone of 200 nautical miles or to a continental shelf. The Philippines seeks a declaration that all of the features claimed by China in the Spratly Islands, as well as Scarborough Shoal, fall within one or the other of these categories. (c) inflicting severe harm on the marine environment by constructing artificial islands and engaging in extensive land reclamation at seven reefs in the Spratly Islands. 4. The Philippines has asked the Tribunal to find that China has aggravated and extended the disputes between the Parties during the course of this arbitration by restricting access to a detachment of Philippine marines stationed at Second Thomas Shoal and by engaging in the large-scale construction of artificial islands and land reclamation at seven reefs in the Spratly Islands. This declaration by the Tribunal that the Philippines DID NOT REQUEST FOR A RULING ON SOVEREIGNTY is crucial. It is therefore absurd for anyone, at this point, to demand that Duterte exert the country’s sovereign rights on these specific areas in the South China Sea because that was not part of the arbitral decision in the first place. This means, whatever dispute we have with China regarding land sovereignty remains unresolved unless both parties decide to return to the negotiating table. On this dispute, once again, the Tribunal clarified that the claims presented by the Philippines do not concern sea boundary delimitation and are not, therefore, subject to the exception to the dispute settlement provisions of the Convention. Let me reiterate, the Philippines DID NOT ask the Tribunal to delimit any boundary. So again, WHAT IS MARIA RESSA URGING DUTERTE TO ENFORCE? The Philippines is simply seeking an entitlement to a maritime zone, so the fact that our farmers are now able to fish in the area without being harassed by China, is already an enforcement of our rights. Since at this point, China still refuses to acknowledge the Ruling, UNCLOS also allows parties to agree on the settlement of disputes through alternative means of their own choosing. Articles 281 and 282 of the Convention allow the States to resolve their disputes by any other agreed upon mechanisms. 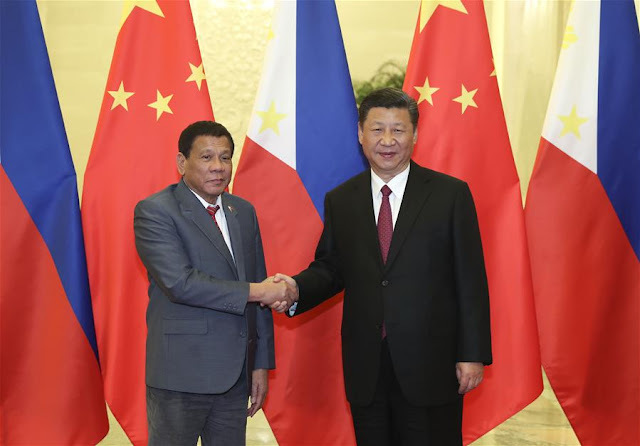 Rather than taking an aggressive stance against China, Duterte’s decision to mutually benefit from the entitlememts in the maritime zone, is the most logical thing to do. The Tribunal also considered whether there is a dispute between the Parties concerning the interpretation or application of the Convention, which is the basis for the dispute settlement mechanisms of the Convention. In so doing, the Tribunal considered two objections set out in China’s Position Paper: first, that the Parties’ dispute is actually about sovereignty over the islands of the South China Sea and therefore not a matter concerning the Convention, and second, that the Parties’ dispute is actually about the delimitation of the maritime boundary between them and therefore excluded from dispute settlement by an exception set out in the Convention that States may activate by declaration. China activated the exception for disputes concerning sea boundary delimitations when it made a declaration in 2006. With respect to the former objection, the Tribunal noted that there is a dispute between the Parties regarding sovereignty over islands, but held that the matters submitted to arbitration by the Philippines do not concern sovereignty. The Tribunal considered it to be expected that the Philippines and China would have disputes regarding multiple subjects, but emphasised that the Tribunal did not accept that “it follows from the existence of a dispute over sovereignty that sovereignty is also the appropriate characterisation of the claims the Philippines has submitted in these proceedings. A maritime boundary may be delimited only between States with opposite or adjacent coasts and overlapping entitlements. In contrast, a dispute over claimed entitlements may exist even without overlap, where—for instance—a State claims maritime zones in an area understood by other States to form part of the high seas or the Area for the purposes of the Convention. Contrary to what is being propagated by the opposition, DUTERTE DID NOT give away our claim to Scarborough Shoal or to any maritime zone in the South China Sea. If one reads carefully the Ruling, his offer to China for a 50:50 joint exploration of the sea in that area, is actually the wisest way of interpreting and implementing the Arbitral Ruling. Besides, the Ruling did not provide or identify who should implement said decision. It merely stated that both Parties should adhere to the ruling. Moreover, looking at the 4 categories that encompass the disputes that Philippines is raising before the Tribunal, it would appear that as long as there is no interference from China in the exercise of our rights under the Convention including with respect to fishing, oil exploration, navigation, and the construction of artificial islands and installations, then we have achieved our goal and preserved our entitlements. Thus, there is nothing else to enforce and both Parties can peacefully harvest the resources within their respective boundaries without fear of being obstructed by the other. Joint explorations can even be considered if this is to the mutual benefit of both Parties. President Duterte’s diplomatic approach to the South China Sea conflict is the most practical and realistic approach. Indeed the country got a favorable decision from the July 2016 The Hague Arbitration Ruling but how can we insist in implementing it when China threatens to go to war if it is enforced? Maybe a simple acknowledgment of the Arbitral Ruling by both Parties would suffice. We have been creating alliances with other ASEAN claimants for many years now, and do you think China is threatened by such alliances? Making alliances with the US? You think China cares? And if we go to war as a result of the actions you want Duterte to take in order to “enforce” the Arbitral Ruling against China, do you think the US will protect us? The arbitral ruling does not give us ownership of the disputed islands or maritime zones, it merely provided us the right to explore. In the first place, Philippines sought arbitration only to secure its entitlement to a maritime zone not to claim sovereignty over any area in the South China Sea. And it is unreasonable to go to war with a superpower over an area that can mutually be explored to benefit both nations. 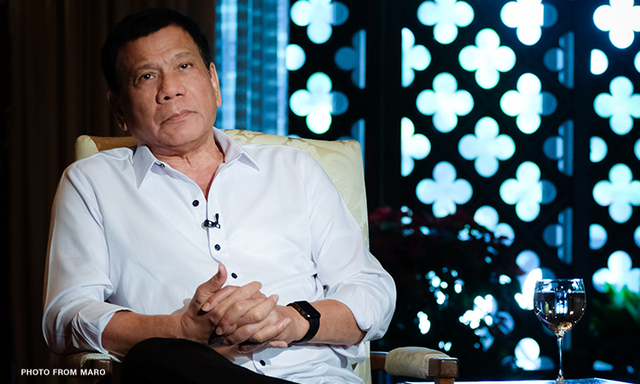 In the end, Duterte is envisioning, a mutually beneficial exploration of the resources in the disputed areas. Mutual co-existence, without war, without losing lives. A simple and most practical solution. (Some excerpts were taken from the Arbitral Ruling PCA Case No 2013-19)"